Among the captured are commanders of company and platoon. During the combat hostilities last night near Troyitske, Donetsk region, Ukrainian troops captured Russian mercenaries, the headquarters of ATO reported on 11 July. 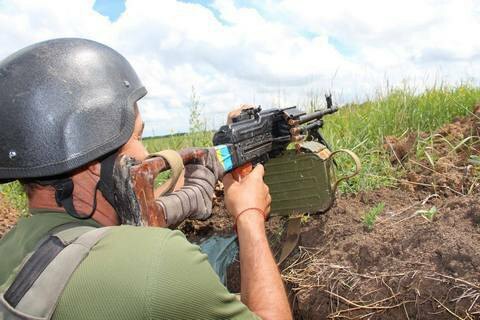 "At night on July 11, in the vicinity of the village of Troyitske, an enemy sabotage and reconnaissance groups of up to 23 people went on the offensive against the positions of Ukrainian Armed Forces and engaged in combat action with Ukrainian troops. As a result of a skilled response by ATO fighters, the core of the enemy group hastily retreated, leaving three of their wounded behind. One of them, Nathan Tsakirov, born in Omsk, Russia, died of a gunshot wound," the report says. Ukrainian military medics evacuated the prisoners, provided them with first aid and sent to a medical unit. The press service of the General Staff said that the two captured militants were a company commander and a platoon commander of Russian occupation troops. The General Staff of Ukraine made public a photo of the passport of the deceased Russian. On Saturday night, three Ukrainian soldiers were killed and three severely injured, while another seven troops received light injuries in an attack of Russia-backed militants in near the village of Troitske, Donetsk region, when the opposite party tried to raid the positions of Ukrainian troops following a massive artillery shelling.